Well it may seem like a little bit of nothing when you think about it, but yours truly got a story published in a real literary journal. A huge, massive, ginormous six-word story. HA! I know, it’s just a tiny six word story. But the fact that it was chosen to be included at all rocks my world. And it’s a start! Maybe if I keep submitting, someday I’ll get a full story in a journal. The good folks at Haunted Waters Press publish a quarterly journal called, “From The Depths.” My story is in the Spring 2013 edition. You can read it by click here. And this has given me an opportunity to update the much neglected Writing section of my blog. It felt really good to add a new listing. 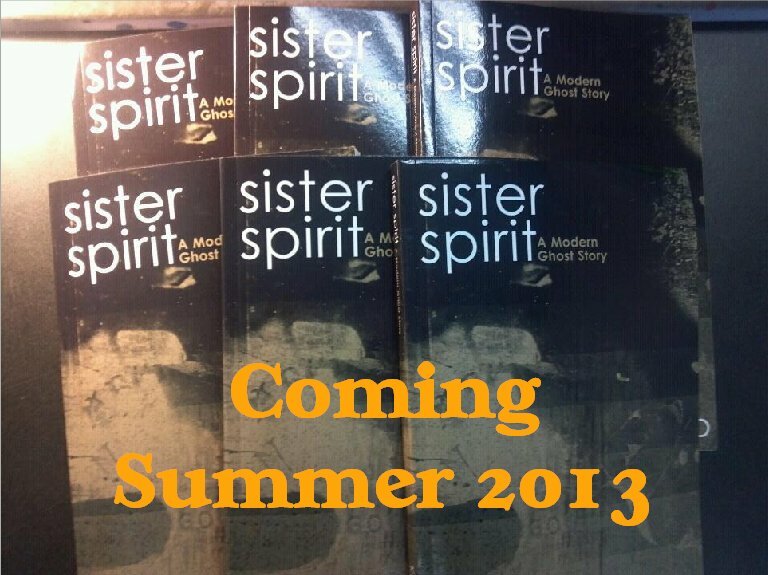 By the way, I have not given up on my book, Sister Spirit: A Modern Ghost Story, either. It’s just going through an editing process. I hope to have it finished and ready to go by this summer. Then I will *gasp* take the giant step of making it available on Amazon. If I don’t faint at the prospect first. If you’re a writer, you might be interested in submitting to “From the Depths.” Their submissions page is here. They are always calling for submissions, so make your move, aspiring writer! Even though my story was only six words long, it felt really good to go through a vetting process and come out on the other side. And just between you and me, I submitted four stories. Only one was selected for print. I should start a file of my rejection emails. They’re an essential part of the writing process I think. Self-actualizing has been such a great way for me to cope with my TTC (trying to conceive) drama. When you can’t accomplish one thing, it’s good therapy to set out for something you can accomplish. And getting published, even just this tiny piece of flash fiction, feels like an accomplishment. Also, I want to share what is probably the best six-word story there ever was. Many people attribute it to Ernest Hemingway, but that’s up for debate. All I know is that it’s poignant, tells a full story and can be a trigger for women dealing with infertility or the loss of a child. So you know, trigger warning. But it’s still the best six word story ever. Part II. …need, to write.With limited use of my hands, no use of my legs,blind in1 eye & a host of other health problems,the words flowed and filled the need for me to have control over SOMETHING.I can identify with you on many levels. Your 6 words grabbed me.Keep writing.